Maritzburg United’s fight for survival continues this weekend as they take on Highlands Park away in Makhulong. The Team of Choice pulled off a stunning second half performance against Bloemfontein Celtic last week Friday, which will be a huge morale booster as the Eric Tinkler-led side seek to save themselves from 16th position. This week, former Kaizer Chiefs defender Rodney Thobejane goes through the fixtures for this week and gives us his predictions. Do you agree with his choices? 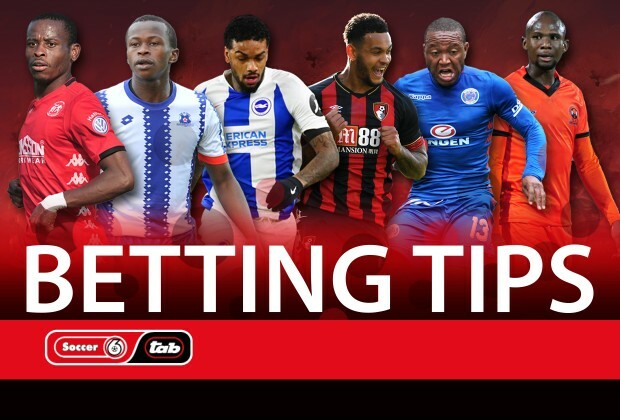 Useful facts: Maritzburg United will be feeling very confident after their brilliant come-from-behind win over Bloemfontein Celtic last Friday, which unfortunately was not enough to uproot them from the bottom of the standings. A sobering reality is that even if the Team of Choice win, they won’t move an inch on the league table, and one can imagine what a loss will do to team morale, with just four games left to play after that. A place in the Top Eight is becoming elusive for Highlands Park and a win against the league’s strugglers will ensure they are on the right track, especially if other results go in their favour. Expect a fight from both teams. Useful facts: Having only scored 32 goals in 31 league games, Brighton have a mountain to climb against Bournemouth, for whom a win will take them to 12th place on the league table, provided Crystal Palace don’t win against Manchester City on Sunday. A loss for the home side could see them sucked into a relegation fight, something they want to avoid at all costs. An interesting comparison between the two teams is that Bournemouth have conceded a whopping 61 goals, while Brighton have let in 46, yet their respective log positions tell a different story. The last time the two sides met was in the third round of the FA Cup in January this year, where Brighton emerged 3-1 winners. Useful facts: For a team of their standing in the league, competing against some of the big guns, Polokwane City have done well to be in fifth position at this time of the season. Evergreen midfielder Jabu Maluleke is also holding it together and pulling the strings for Rise and Shine, and after providing three assists against Black Leopards in their most recent league match, will look to do the damage to SuperSport United this Saturday. A win in this game could see them believing they have a real chance of winning the title. Matsatsantsa weren’t in action on the weekend, and the fresh legs could give them the upper hand.